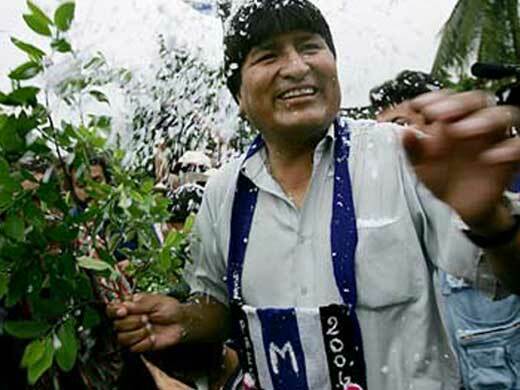 On June 29, 2011, Evo Morales, Bolivia’s first Aymara Indian president, withdrew his country from the United Nation’s (UN) 1961 Vienna Convention on Narcotic Drugs. His decision was based on the fact that the Convention contradicted Bolivia´s 2009 Constitution, which aims to repeal the current ban on coca chewing, a long held tradition in Bolivia. This bold move puts indigenous rights in the limelight and underlines the anachronistic and discriminatory nature of the 1961 Convention, as well as the need to revisit this treaty in order to create a more appropriate international law directed towards coca chewing. The UN’s 1961 Single Convention on Narcotic Drugs based its views on coca leaf prohibition on the Report of the Commission of Inquiry on the Coca Leaf prepared by ECOSOC (United Nation’s Economic and Social Council) in 1950. This report was “sharply criticized for its poor methodology, racist connotations, and cultural insensitivity.” For example, it claims that coca chewing leads to a lack of productivity in the work environment because indigenous coca chewing communities in Lucre had a poorer job “performance” when compared with non-coca chewing regions. The report did not exactly specify how performance was measured, or even whether coca chewing was actually the cause of this lack of productivity. The document simply assumed that coca chewing was the cause for the decline in performance. Although Bolivia did not originally ratify the Convention, it later did so under the dictatorship of Hugo Banzer in 1976. The Convention merely went on to urge countries to prohibit the use of “Schedule IV” drugs—a category reserved for the most dangerous drugs, such as cannabis and heroin. Meanwhile, coca leaves were only designated to the supposedly less dangerous “Schedule I” category, although it is believed that they would eventually become prohibited. This designation, due to the traditional classification of coca leaf chewing under Article 49 allowed coca to be decriminalized in restricted areas for a maximum of 25 years after the convention was ratified. Bolivia signed the convention in 1976, thus making coca leaf chewing legal until 2001. (b) That Article 49, paragraph 2 (e), be deleted because it is a serious mistake to seek to abolish coca leaf chewing within 25 years. In response to the proposed amendment, all 54 parties of the Convention were given 18 months to elaborate objections, which would subsequently factor into whether the amendment was ultimately accepted. If no objections were filed, the amendment would be automatically accepted after the 18-month period. What is Behind Coca Leaves? The coca chewing tradition has varied benefits to consumers. Coca leaves “alleviate the symptoms of high altitudes, cold and hunger, and they function as a mild stimulant. The coca leaf is also used in traditional and religious ceremonies such as weddings.” In addition, they contain more nutrients than the average food plant and were used in order to supplement diets and control hunger. In fact, theories were proposed to promote the consumption of coca leaves as a solution to hinder world hunger. Furthermore, although most coca plants are used in the elaboration of cocaine, coca has recently re-emerged globally in the form of harmless coca derivatives, such as coca liquor, coca tea, handicrafts made from coca leaves and even art pieces. These products are not necessarily espoused only by indigenous tradition, but underline the fact that coca leaves, in their natural state, contain a variety of properties that are have not been proven harmful. However, although coca leaves differ significantly from cocaine, coca leaves are classified under the convention’s “Schedule I” umbrella, along with its chemically-processed derivative. The assumption behind this classification is that not only do coca leaves contain cocaine, but the narcotic is “easily extracted” from the leaves, leading both to be equally harmful. Yet, a closer analysis shows otherwise. In reality, the cocaine alkaloid only comprises about 10 percent of each coca leaf; the leaf also contains numerous nutrients and essential oils, including large amounts of calcium, iron, phosphor and vitamin B1., In addition, coca leaves have not been scientifically proven to be addictive or responsible for producing deleterious effects on humans, as they have been widely consumed without documented negative health consequences. In fact, preliminary scientific results suggest that coca leaves may actually be therapeutic in the rehabilitation process for recovering cocaine and crack addicts. Morales’ proposed modifications were explicitly supported by Spain, Ecuador, Costa Rica and Venezuela; meanwhile, Egypt, Colombia, and Macedonia, who had originally opposed the amendment, later removed their objections. However, even with the support of these limited number of countries, 18 out of the 54 signatories registered objections. The United States publicly opposed the amendment in an attempt to maintain control and stabilize the prolonged international drug war, despite having signed the UN Declaration on the Rights of Indigenous Peoples just a month before. Other countries expressed objections as well. Latvia, for instance, elaborated on its objection against the amendment, claiming that maintaining a socio-cultural habit is not an excuse and should not warrant the same status as using coca leaves for medical purposes. Other countries, including Sweden, argued that the amendment sets up a negative political precedent in the field of international law. Although ECOSOC did not formally reject the amendment, the numerous objections filed, mainly stemming from G8 countries, effectively led to its defeat. 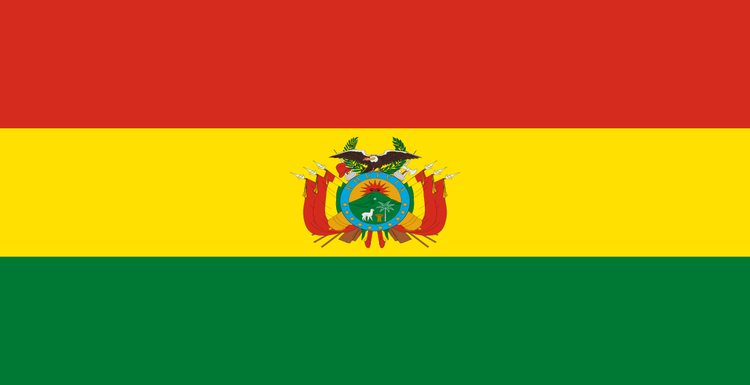 Thus, on June 28, 2011, Bolivia withdrew from the Convention. Before Bolivia’s withdrawal, other countries, such as Peru, Colombia, and Argentina, indicated that they were willing to follow Bolivia’s path; however, none have taken action thus far. This may be due to the International Narcotics Control Board (INCB), which expressed its regrets for Bolivia’s withdrawal, but warned other countries not to follow Bolivia’s lead. It claimed that this action “would undermine the integrity of the global drug control system.” The fact that a country already left underlines the urgent need for the Convention to actually be altered in order to prevent further countries from dropping out from its provisioning. Some protagonists were known to believe that instead of defending a convention that clearly does not work, a new Convention must be drafted. Bolivia’s withdrawal will effectively take place on January 1 of next year, when that nation will be called upon to re-adhere to the Convention with a documented reservation applicable to the terms of Article 49. During the following year, parties may then register objections to Bolivia’s reservation. If at least one-third of the parties object, the reservation will be rejected; if not, the “reservation shall be deemed admitted.” However, Martin Jelsma, Director of the Transnational Institute, claims that the reservation is unlikely to fail, as countries will have to explain why they accepted a similar reservation from Bolivia to the 1988 UN Convention against Illicit Traffic in Narcotic Drugs and Psychotropic Substances. Furthermore, the Morales administration states that although it withdrew from the 1961 Convention, it would continue its tripartite drug-control efforts with Brazil and the U.S., which plans to establish a “South American center for anti-narcotics training.” Although the UN and the Union of South American Nations (UNASUR) have supported this effort, it is unclear whether this strategy will outweigh Bolivia’s international alienation which is bound to be caused by its abandoning the Convention. Given Morales expulsion of both the U.S. Drug Enforcement Agency and the U.S. ambassador in 2008, Washington’s role will likely be limited to funding equipment and monitoring the results of La Paz’s new policy. Even with a weakened role, Morales continues to manifest animosity towards the U.S., often alleging that Washington is plotting to accuse him of facilitating drug-trafficking. There is mixed evidence whether these actions will further alienate Bolivia in the international arena, but Bolivia’s bold withdrawal from the Convention actually may prove beneficial in raising awareness both regarding coca chewing and indigenous rights. Nevertheless, by re-adhering to the Convention with reservations next year, Bolivia will emphasize the contradictions between the tenets of various international treaties and the injustice of following an anachronistic Convention that is insensitive to cultural differences. However, Morales’ boosters maintain that the withdrawal from the convention should be understood as an error of the convention, not so much as a subversive and wayward act on Bolivia’s part. Morales’ allies claim that the convention alienates countries defending fundamental indigenous rights. In any event, the Convention deserves to be further vetted for its weaknesses, as well as its strengths. ← A Historic Step to be Taken Today: Could UNASUR Finalize Plans for an Economic Emergency Fund? More Pragmatic, Less Ideological: Bringing the U.S. and Bolivia Together? 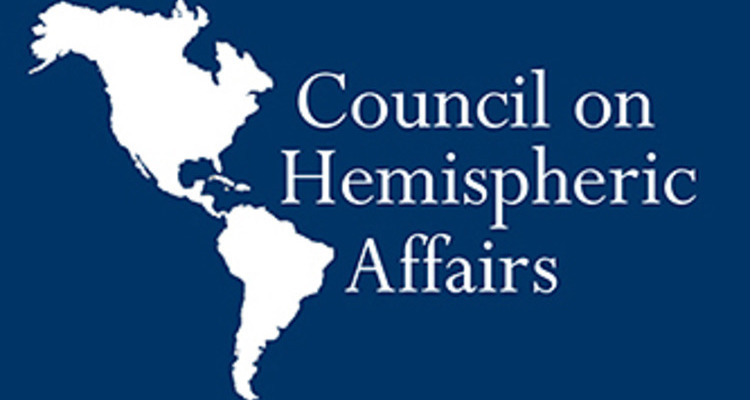 March 4, 2015 COHA Comments Off on More Pragmatic, Less Ideological: Bringing the U.S. and Bolivia Together?